Strong and full flavoured loose leaf tea. Herbal Health is particularly proud of this tea. 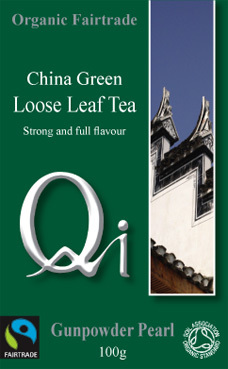 The best green loose leaf tea in general distribution. An honest Gunpowder Tea which has none of the binding agents sometimes associated with Gunpowder teas of lesser leaf quality. Small, hand-picked leaves, sourced from the Presidential tea garden are hand rolled into tiny little balls which 'blossom out' into the original full leaf when brewed. The excellence of this tea comes from: the quality of the original tea leaves which are young and fresh, and abundant in healthy antioxidants and flavourful amino acids. And, in the preparation: The preparation of the tea into tiny little balls is an excellent way of retaining the full properties of the leaf. Stronger in taste than Chun Mee, a very small amount of tea is needed per cup. The high quality of the original small tea leaf means that unlike other Gunpowder teas, Qi Gunpowder has no bitterness. 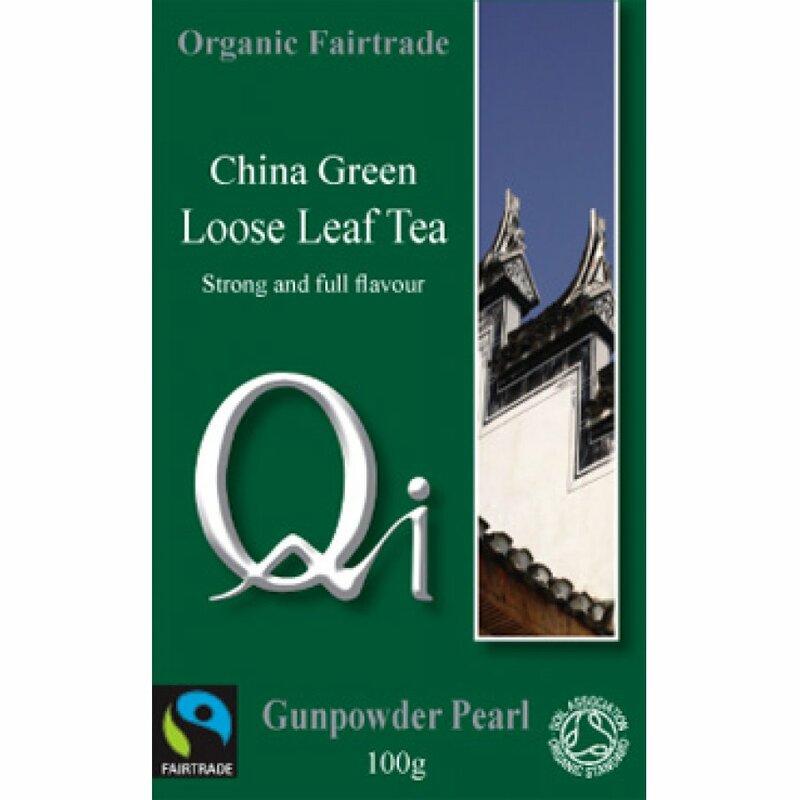 The QI Gunpowder Pearl Loose Tea product ethics are indicated below. To learn more about these product ethics and to see related products, follow the links below. Really nice tea. It's hard to find a loose leaf green tea but I'm pleased to have discovered this one at last. One of the best green teas we have tasted. We use it all the time. Love the tea, would definitely recommend to friends. There are currently no questions to display about QI Gunpowder Pearl Loose Tea. Qi Teas are proud to present us with a delightful range of their finest organic and fair trade teas in partnership with the mountain communities of China. The company was set up in 1997 after its founder, Joe d’Armenia, made an inspirational voyage of discovery to China. The teas he discovered are rich and aromatic in their flavours and fragrances. QI teas are Soil Association certified organic, and are also Fair Trade labelled, which gives the assurance that all involved in the production of this tea received a fair deal. The name Qi is taken from ancient Chinese teachings which state that Qi is the lifeforce and natural energy of life. As such, Qi teas are intended to help you achieve equilibrium as part of a good diet and healthy lifestyle.